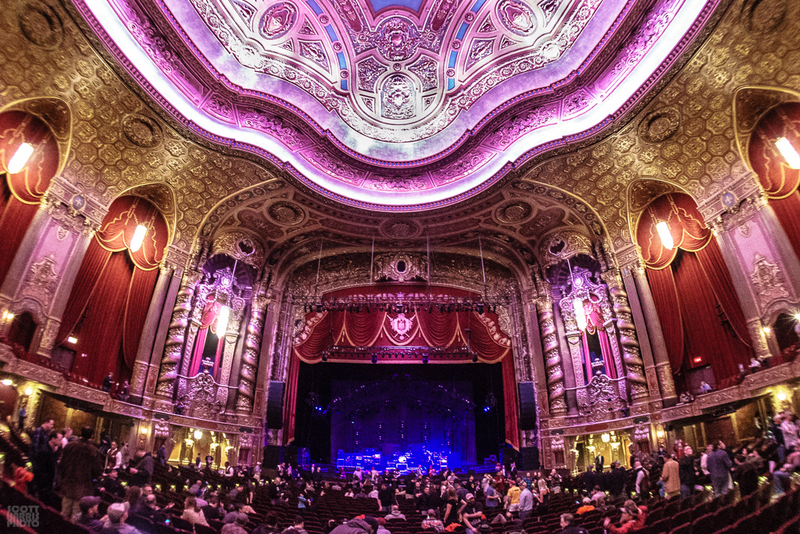 Astonishment filled the air as Widespread Panic descended upon the newly reopened Kings Theatre in Brooklyn, NY this past weekend for two nights of shredding southern rock jams. Spreadheads flooded into the theatre well before showtime to gaze upon the venue’s beautiful renovations. Originally opened in September 1929 as one of Loew’s Wonder Theaters, the Kings Theatre operated primarily as a single screen cinema until its closure in 1977. It would remain closed for the next 37-plus years until reformation efforts began in 2006. Following extensive negotiations and groundwork, the $95 million renovation project finally got underway in 2013. The renovated 3,200-seat room is a mix of new and old, staying true to its original design (from the lighting fixtures all the way down to the carpeting), while simultaneously incorporating many modern and expanded amenities for performers and fans alike. Aside from the eye-popping ambiance, fans noted in particular the short concession and bathroom lines and friendliness of the staff, comprised of members of the local community.